In the capital of Addis Ababa, people in cafes clapped and cheered in front of television screens. At 41, Abiy is Africa’s youngest leader — and he is pursuing a different path than many others in the region. 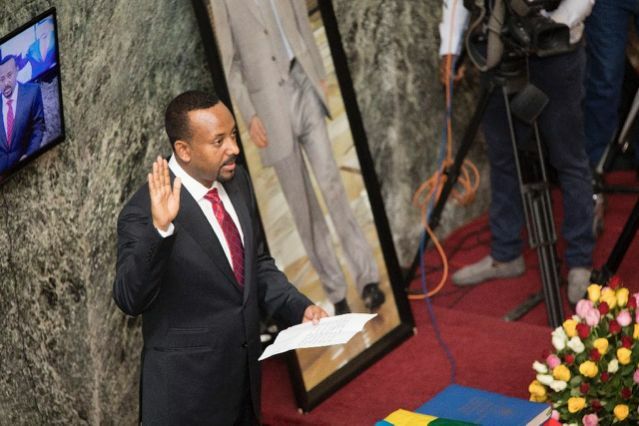 All eyes are on Abiy’s next moves and whether he will manage to reorient the political system to give the Oromo the representation they demand and turn a one-party system into something more democratic. Just as Abiy will not have a completely free hand in determining the military’s leadership, he will also have to build consensus before making other key policy decisions. Nizar Manek is the Addis Ababa correspondent for Bloomberg News and an independent consultant and analyst covering Ethiopia and the greater Horn of Africa.